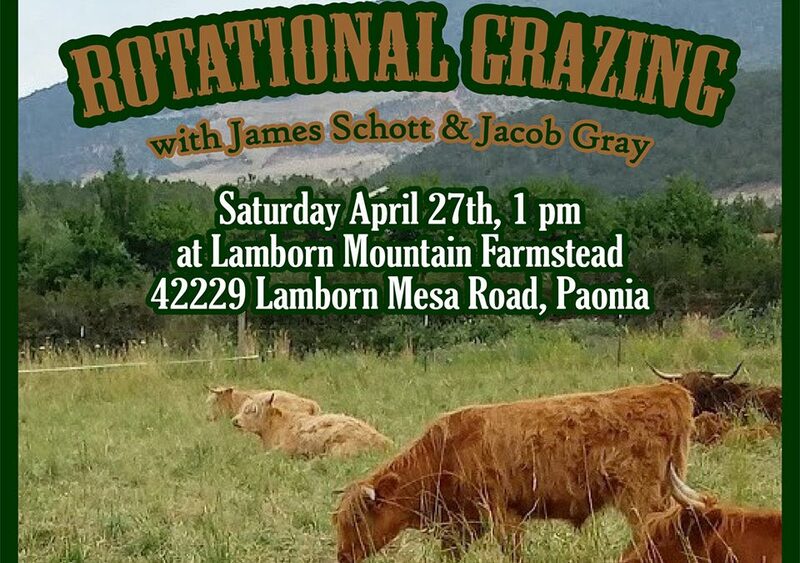 Apr 27 – In this Rotational Grazing workshop, learn methods to raise healthy and happy animals, improve your soil and increase pasture fertility. 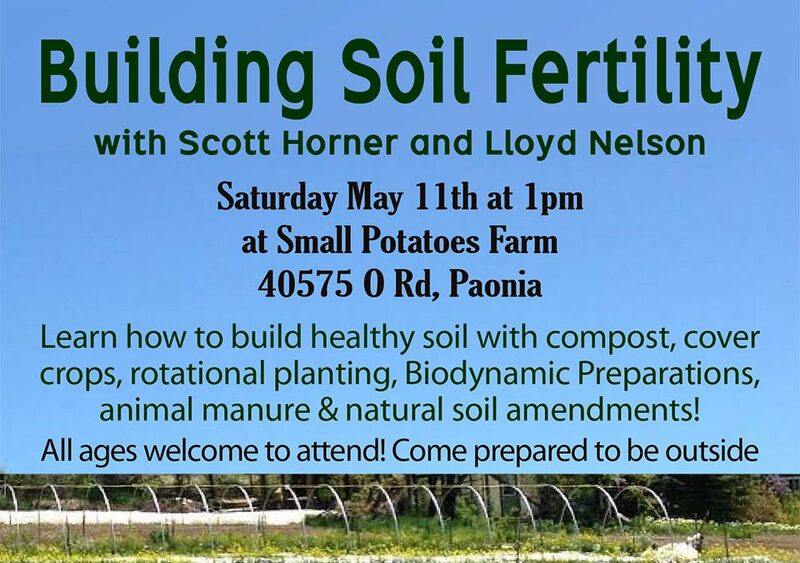 May 11 – Building Soil Fertility needs compost, cover crops, rotational planting, biodynamic preparations, animal manure and natural soil amendments. 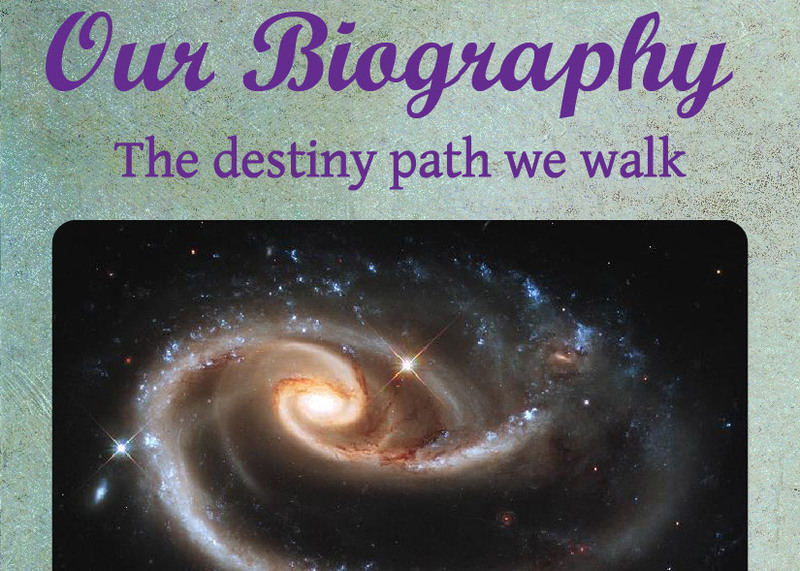 Jan 11-13, 20, 27 & Feb 6 – In Our Biography we will work with prominent planetary and seasonal rhythms, and how they relate to our individual lives. 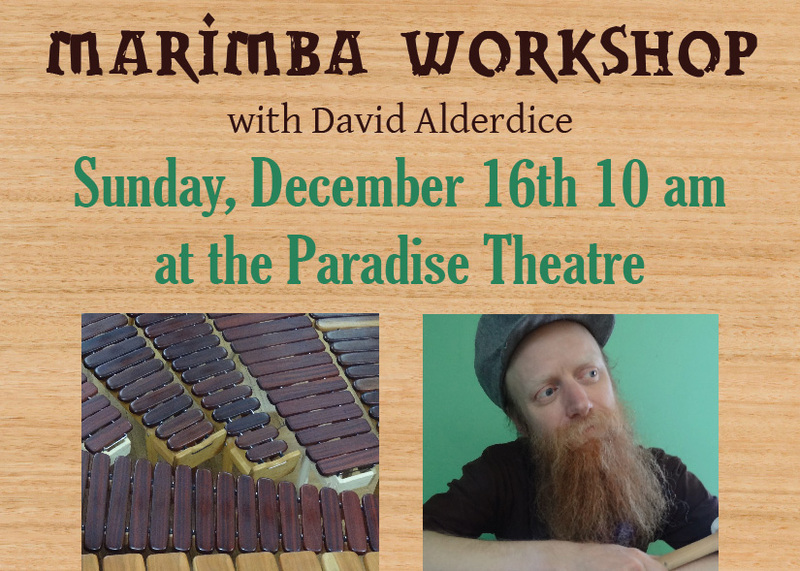 A source of astonishment! 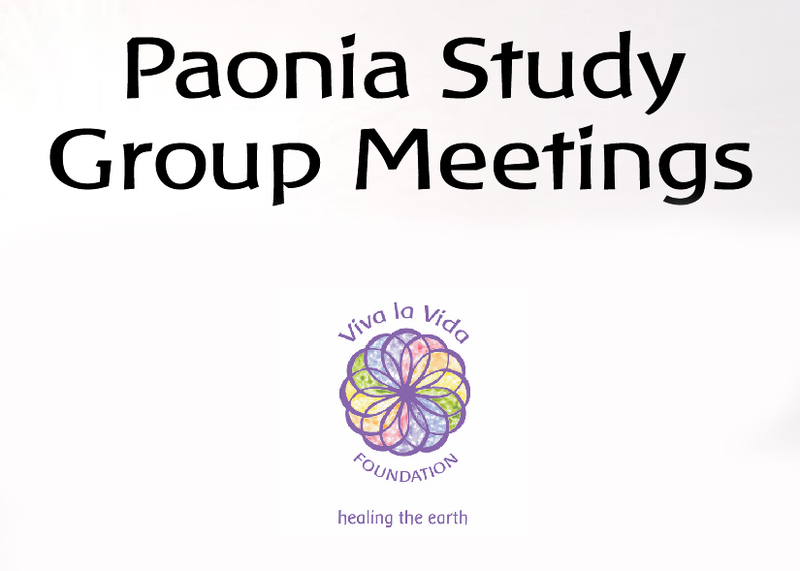 Dec 9, 16, 24, 31, Jan 6, Feb 2 – Paonia Study Group Meetings deal with Holy Nights work, star wisdom, Christmas Eve, New Year’s Eve, Epiphany and Candlemas.